What's the best campground to book for this? Best option for camping is el chorro, if you want to be where all the festivities are happening. Best way to experience the slam down is to Camp with everyone. I'm in Chumash 11, and you were correct - camp sites are going fast! Had to sign up late because I was down in Baja. All the best sites were gone and I had to take the best of the leftovers. 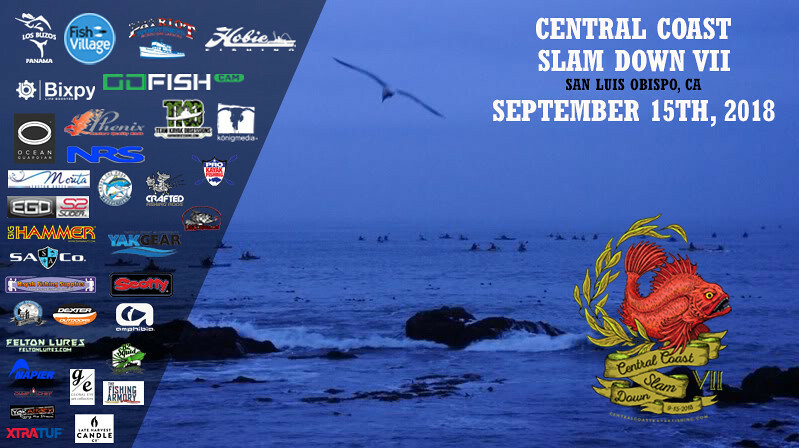 This wil be my first Cambria slam... been trying to make it for years! Less than 2 months till this years SLAM DOWN... Prizes are coming in daily and we have some of the best have yet to arrive. Tomorrow night is the last night to pre-register and still get an official Central Coast Slam Down VII shirt included with your registration. Since all the camp grounds are full at El Chorro, where is the next best place to camp? Thanks so much everyone!! Most likely they will open up over flow camping for the weekend which is tent only camping. I will shoot them a call tomorrow to see if that is gonna be an option it has been in years past.